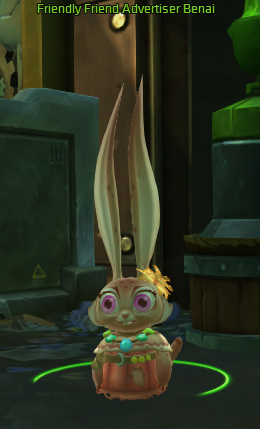 Challenges are one of my favorite parts of WildStar. In the span of just a few minutes, you can complete a fun task that usually gives a pretty sweet reward! If you’ve spent time in the Exiles capital city, Thayd, you’ve probably stumbled upon at least one of the challenges. Thayd actually has SIX challenges, and each one can be repeated every 30 minutes! 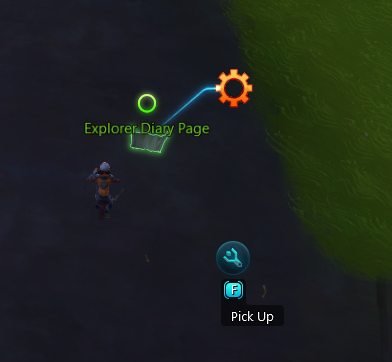 These challenges are quick and easy to complete and can provide supplemental income (by auctioning or selling the items), a way to furnish your housing plot, a chance to get pretty dye colors, or a method of farming mats for your tradeskill. I still do these challenges on my level 50 when I have a few minutes because of the great rewards. 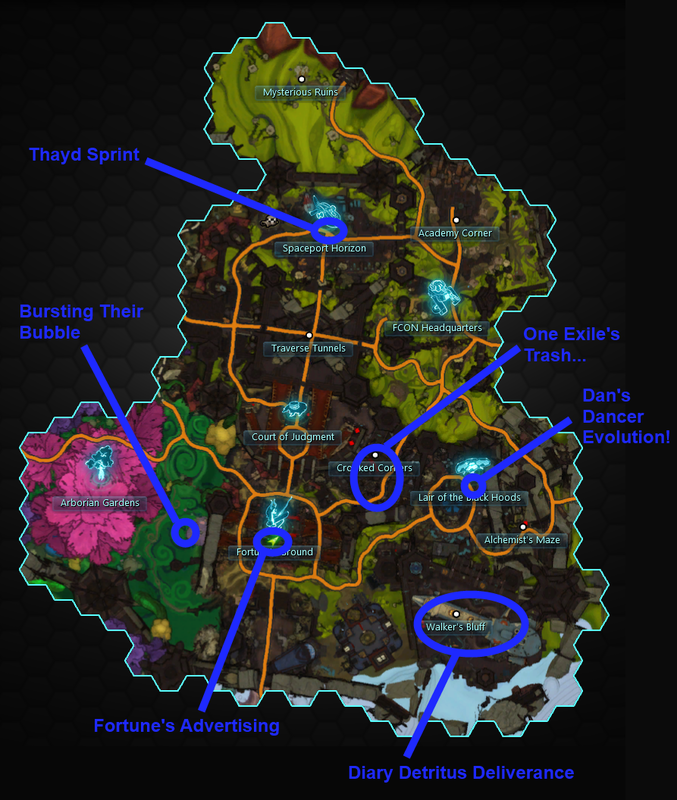 This map of Thayd shows the starting point of all challenges. We start this tour of challenges with Thayd Sprint. This challenge is started from Super Sprinter Annalia in Spaceport Horizon. She gives you two minutes to zoom to the southern part of the Thayd. Follow the blue arrows on the ground and be sure to use your sprint ability as much as possible. Without a mount, you’ll only be able to get bronze on this one (silver with a speed boost from a settler kiosk…thanks RainyDay for letting me know about this trick! ), but it’s still doable. 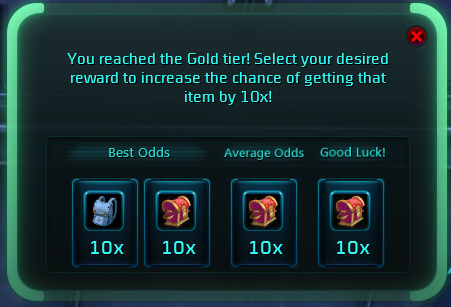 Gold can be achieved with just a basic speed ground mount. 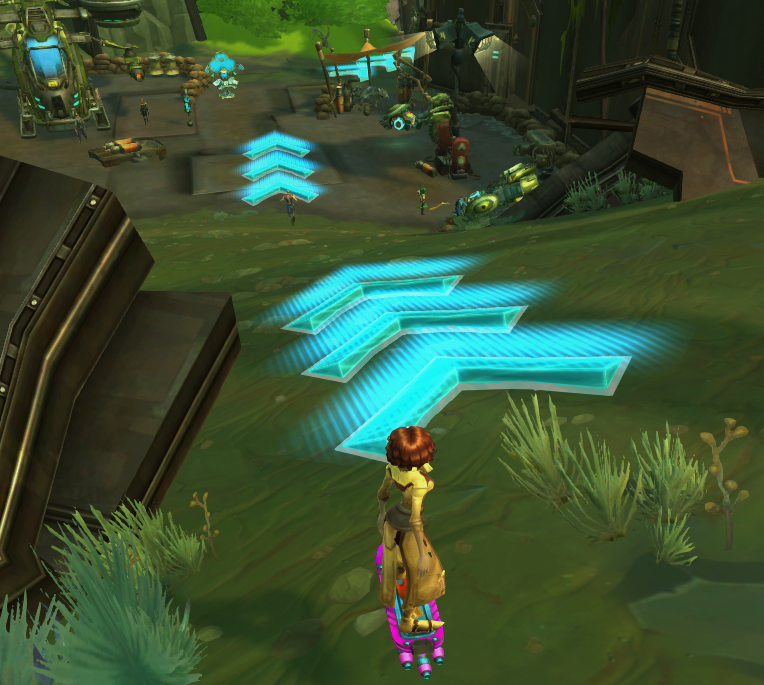 Next is Fortune’s Advertising, which starts just up the stairs from the end point of Thayd Sprint in Fortune’s Ground. 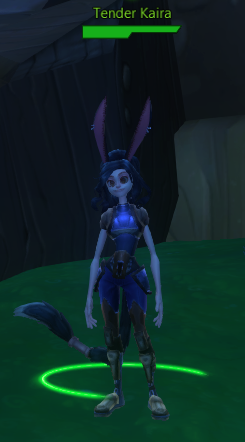 The first time you run this challenge, it starts from Friendly Friend Advertiser Benai (an adorable Lopp). You’ll have two minutes to hand out ads to Galactic shoppers and browsers in Fortune’s Ground. Target these NPCs and use your “T” ability. The key to gold in this challenge is finding large clumps of shoppers and browsers to minimize travel time. On subsequent attempts, you can start the challenge from your Challenge Log. I suggest finding a high population area of shoppers and starting there. Always wanted to pick up the trash of others? No? Well, you don’t have a choice in the next challenge. In One Exile’s Trash… you will be collecting cups, cans, and bottles that are in the Crooked Corners. 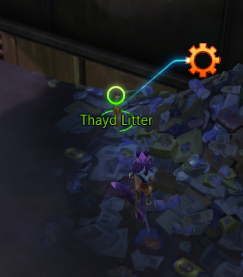 The challenge starts when you pick up any item of Thayd Litter (subsequent attempts need to be started from the Challenge Log). This one is fairly easy to score gold, as long as there aren’t too many other players attempting it at the same time. Now we venture to the shady Lair of the Black Hoods to start the Dance Dance Revolution challenge, Dan’s Dancer Evolution!, from the arcade console. I’m still not sure about the “proper way” to complete this challenge. One person in my server’s advice chat suggested that you need a degree from Julliard to figure it out. Luckily, there is a way to complete it. It’s not pretty, but you can mash all four keys at once. To quote Ferris Bueller, “It’s a little childish and stupid…” But, hey, it gets the job done! The last challenge in Thayd is Bursting Their Bubble. This one eluded me for quite some time, since I don’t visit Arborian Gardens often. 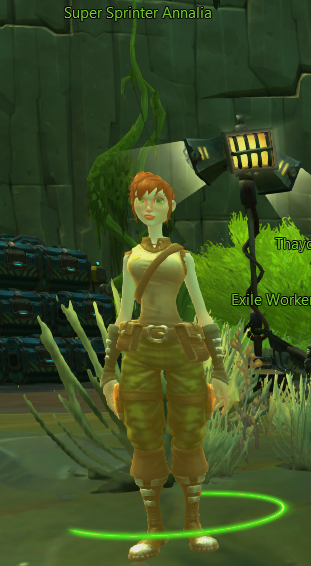 I was able to track it down with my favorite WildStar database site, Jabbithole. If you’ve followed the order of the challenges so far, the easiest way to get to Arborian Gardens is to hop on the settler’s teleport in Fortune’s Ground. This challenge starts from Tender Kaira initially, and you know the drill for subsequent attempts. 🙂 You’ll have three minutes to depressurize vind. 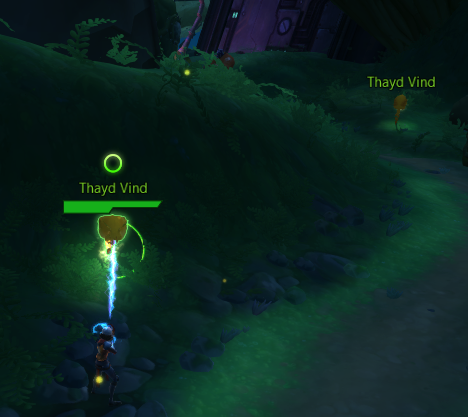 Target the Thayd Vind and use your “T” ability. This challenge spans a fairly large area, so keep looking if you don’t spot the vind. 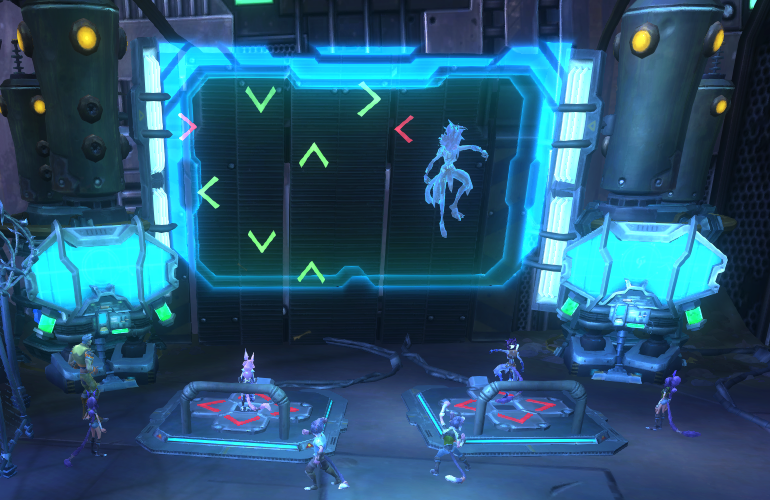 Have fun tackling these Thayd challenges and enjoy the sweet loot!